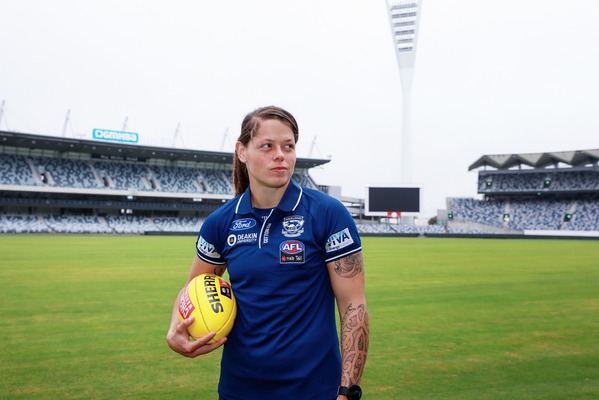 Richelle ‘Rocky’ Cranston said the pain of losing the VFLW grand final this year will inspire Geelong in its debut AFLW season in 2019. The Cats lost the VFLW decider to Hawthorn by 13 points this year and Cranston says the pain of the defeat still lingers. “I think about that a lot and I think a lot of the girls do,” Cranston said before Geelong’s opening preseason training session this week. Geelong will field around to-thirds of this year’s VFLW list during next year’s inaugural AFLW season. Cranston said it will help the squad to be so familiar with each other’s games. “I’m super excited, it means we’re already close and we’ve got that bond,” she said. Cranston was excited for the opening training session this week. “I definitely got excited putting my uniform on for the first time and having my backpack ready to go – first day of school feels,” she said.